Bring back the disco kings and queens with funky hair and flashy clothes. 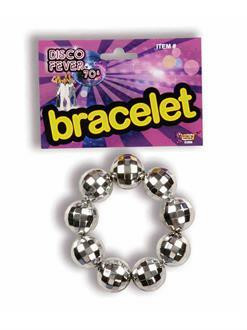 Add this 70's Disco Ball Bracelet to any costume and you will be ready to hit the dance floor. This stylish accessory will match any 70's theme costume and could even be apart of your daily wardrobe!